Looking for great math and literacy activities but too busy to plan them out? 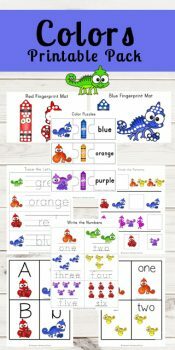 Check out these Chameleon Colors Worksheets from Kindergarten Worksheets and Games! There are 73 pages of varied math and literacy pages appropriate for preschoolers, Kindergarteners, or first graders! Included are a dice/graphing activity, do-a-dot activities, color matching, and more! And, it’s all with an overall theme of chameleon colors! Get the Chameleon Colors Worksheets here!